When you’re away from home and want some added comfort to your cot or sleeping bag, try an ALPS self-inflating air pad. With the comfort series, the pad will inflate and deflate quickly with the jet stream wave foam and roll up compactly to fit into the stuff sack. The top is a comfortable, brushed Suede-like fabric with anti-slip dots on the bottom to keep you from sliding around. The Comfort Series also features brass non-corrosive valves for maximum durability. Another benefit of adding an air pad is that it will help keep you warmer… essential to a well rested night. Accessories: Stuff sack, compression straps and repair kit. The backpackable model from ALPS Mountaineering’s Comfort Series is the smallest and the lightest in the series, yet it still has an insulative R-value of 4. 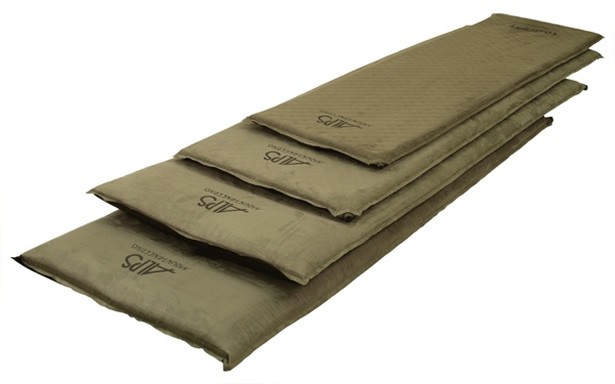 The Regular model is a rectangular self-inflating three-season pad measuring 72″ in length, 20″ in width, and 1.5″ thick providing plenty of loft as an insulative barrier minimizing conductive heat loss. Conduction is the transfer of heat between two solid objects. Without a thick layer of protection between you and the ground, it will effectively drain the heat from your body. The Long model is 77″ long, 25″ wide, and 2 thick with an insulative R-value of 5. The XL model is 77″ long, 30″ wide and 3″ thick with an insulative R-value of 6.9. The XXL model is the largest in the series at 77″ long, 30″ wide and 4″ thick with the highest insulative R-value of the bunch, coming in at 8.1. The larger models are all certainly equipped to handle the colder months of the year. Though, the climate in your area will certainly dictate your actual gear needs. The dimensions of the air pads rolled are as follows: 21″ wide and 4.5″ in diameter for the Regular model, 26″ wide and 6.5″ in diameter for the Long, 31″ wide and 8″ in diameter for the XL, and finally, 31″ wide and 11″ in diameter for the XXL. The XL and XXL models also feature a thicker pillow area and two valves for faster inflating and deflating. But at 6 lbs. 7 oz. and 8 lbs. 7 oz., the XL and XXL models respectively are certainly not something you would ever consider strapping to your backpack. They were designed with one purpose in mind, to provide an enormous amount of comfort. 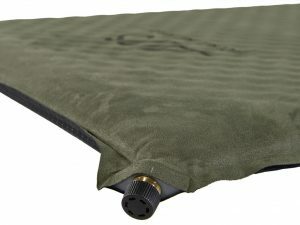 Comfort series air pads are made from a durable moss-colored brushed suede-like fabric on the upper side for extra comfort and softness, and a rugged abrasion resistant polyester anti-slip bottom fabric with PVC dots to prevent the pad from sliding around on your tarp or tent floor. 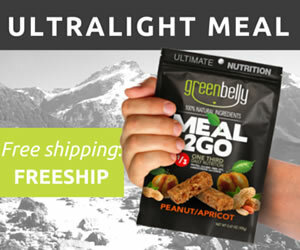 All seams are heat bonded for extra durable air-tight seal. The inside of each pad is filled with an egg-crate-like polyurethane open-cell foam called JetStream for its extremely fast inflation and deflation. Not only does the memory foam provide the mechanism for self-inflation by drawing air into the pad once the valve is opened, it also provides the loft and insulation that plain air pads don’t to ensure that you sleep comfortably. The regular and long models feature a single control valve. The XL and XXL models feature two control valves. That is made from a non-corrosive brass with a plastic cap that does not come all the way off so it can’t get lost. Simply twist open to inflate or store the pad, and twist closed to hold air in or keep air out. If you need the pad a little firmer, you can add a few breaths before closing the valve. If you need it a little softer, simply let a little air out. Each pad includes a durable stuff sack, compression straps, and repair kit to keep your pad working optimally. As with most manufacturers, ALPS Mountaineering strongly recommends that you store their pads for a long period of time with the valve open and in an uncompressed state to allow any moisture inside the pad to dissipate and help to preserve the integrity of the construction and materials used. The Comfort Series pads are very easy to clean. No need for special chemicals to get it clean. Just wipe them down with warm soapy water and dry it with a towel or let it air dry before you put it away. 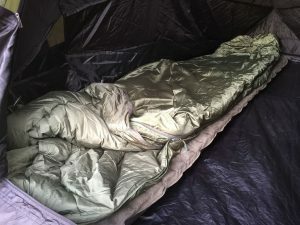 I’ve spent many nights sleeping on the Regular ALPS Mountaineering Comfort Series Air Pad and found it to be one of the warmest and most comfortable pads that I’ve tried, even at only 1.5″ thick. I found that adding a breath or two after it finished self-inflating gives it the perfect firmness for laying on the ground. I also found it ideal for use in a hammock, especially if you have a dual-layer hammock with a pocket for an insulative pad. However, they work best when you let a little air out so it is not entirely rigid. 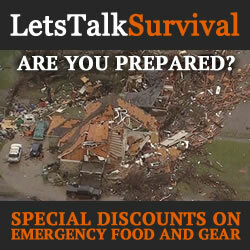 In my opinion, survival also encompasses finding ways to improve you mental and physical state. Being warm and comfortable at night leads to being well-rested, and that has a direct impact on your psyche and your ability to survive. At 2 lbs. 10 oz., it is certainly not the smallest or the lightest option out there. But the fact that it self-inflates, and it is not any more difficult to deflate than regular air pads is an attractive element to this option. No pumps and batteries to carry, and no need to get winded filling it up. Founded in 1993 by outdoor industry veteran Dennis Brune, ALPS Mountaineering strives to provide tough high quality adventure gear at fantastic prices. Guided by experience and customer feedback, the products engineered at ALPS Mountaineering are designed with knowledge, by people like Dennis, who have been creating, testing and selling backpacking and camping products for more than 25 years.